Any accident can lead to spinal cord damage, but vehicle accidents are the most common culprits. According to the National Institute of Neurological Disorders and Stroke, there are around 12,000 spinal cord injuries in the country every year. More than 250,000 individuals suffer with the effects of this injury every day. These injuries are often permanent, changing the lives of victims forever. If you or a loved one has suffered from an accident and received a spinal cord injury diagnosis, contact Honolulu Spinal Cord Injury Lawyer Dennis W. Potts. Medical treatment expenses, the cost of living, and other expenses can become overwhelming in the aftermath of such accidents. A civil lawsuit filed against the person responsible for your accident can help you secure the compensation needed to start healing physically and emotionally. Attorney Potts provides free consultations for clients to help them determine if a lawsuit is the right path to take. From there, he uses thorough discovery and investigative techniques to determine the correct course of action. All of the cases are handled on a contingency fee basis, meaning, unless he recovers damages on your behalf, you will not be charged a fee. 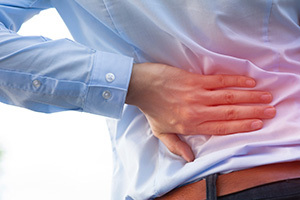 Since the spine is part of the central nervous system, an injury anywhere along your spinal column can cause peripheral symptoms elsewhere in your body. Paralysis, chronic pain, tetraplegia, and quadriplegia are some of the most common types of injuries suffered in accidents. Unlike broken bones or lacerations, spinal cord injury victims may never fully recover. Peripheral diagnoses that may arise from a spinal cord injury can also severely impact a patient’s quality of life. Respiratory difficulty, digestive system complications, and mental health issues can all affect victims of spinal cord accidents and complicate medical treatment. In addition to recurring medical treatment, victims may lose their income-earning ability, and they may require help for the rest of their lives. Often, it is paramount to secure compensation from the responsible party to cover the ongoing costs of someone severely injured in an accident. Attorney Dennis W. Potts has more than 40 years of experience representing accident victims in Hawai’i. When it comes to injury and wrongful death claims, you will find Attorney Potts to be sympathetic, thorough, and relentless in his advocacy. He understands how difficult this time can be for his clients, and he wants to make sure you are focused on healing, not worried about how you will pay for future treatment. Many accident victims rely on civil lawsuits to help them get through a difficult time. In any situation, it is your right to seek damages from those who caused you harm through acts of negligence or intent. Spinal cord accident cases rely heavily on medical evidence. When Attorney Dennis W. Potts accepts your case, he will work hard to uncover as much evidence related to the accident as possible. Keep detailed records of your medical treatment, and try to record visual evidence of the scene and injuries. In many accidents, the evidence starts to fade within hours. Talk to an attorney as soon as you can. It is vital to your case to make sure your claim can be thoroughly investigated by a third party with enough time to meet deadlines for filing a lawsuit. To learn more about how Honolulu Personal Injury Attorney Dennis W. Potts can help you with your unique case, give him a call today at (808) 537-4575.